Coca-Cola as an ingredient! Who knew?! 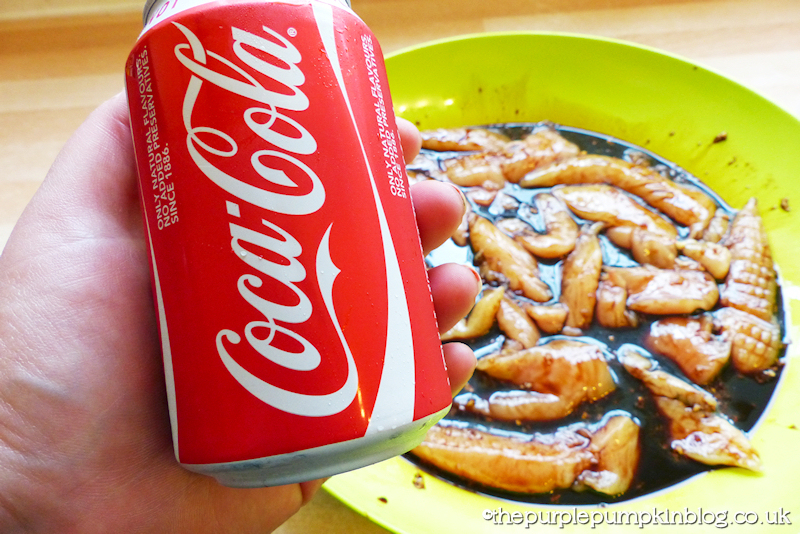 I found a few different recipes online for a coke marinade and decided to make my own up, since that’s pretty much how I roll. I used the marinade on chicken breast strips, but it could be used on chicken wings/legs, or ribs or even pork chops. I served it to be wrapped up in tortillas with various toppings, and a few lime wedges on the side are a nice zesty touch. 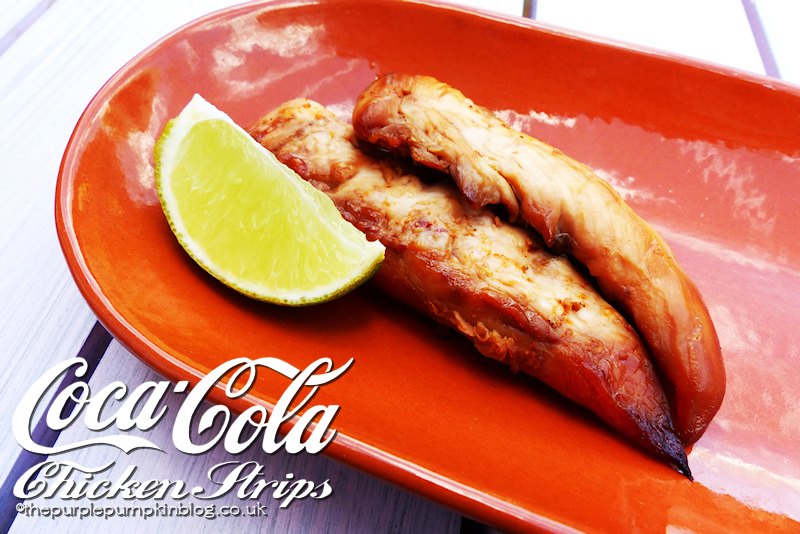 I oven baked these Coca-Cola Chicken Strips, but you could do them on a barbecue, or even cube the meat and have them as kebabs!